Marble comes in a variety of colors from different parts of the world including China, Egypt, Greece, India, Iran, Italy, Spain, and Turkey. Of all the countries listed, Italy produces the largest collection of colors. While there are over 150 different colors of marble in the world, far fewer are readily available here in the USA. 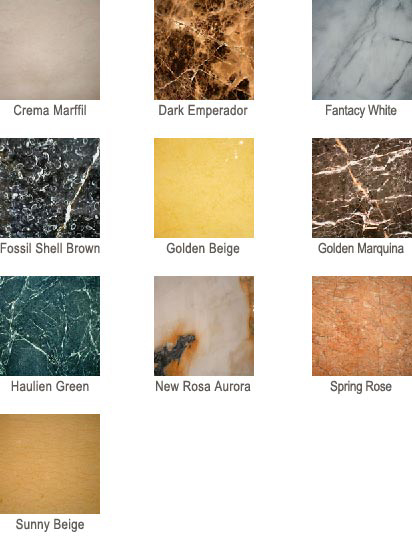 Below you will find some of the more common marble colors choices available at distributors locally. Colors Of Marble Counter Tops Available In Phoenix, AZ.